House Painters Port Coquitlam are in demand as we move into the spring and summer months. Read on and find some important painting tips to get started on your home painting project. If you are calling for a FREE quote call us today at 604-523-2238. You must surely understand that a new coat of paint can restore and revitalize any room in your home. Paint is known as a very affordable way to change the look of a room. The most interesting part about interior painting is that practically anyone can do it. You will just need patience, the right equipment and a bit of know-how. After you have chosen a color, you will also have to pick a finish. The finish will determine how glossy the paint is going to be after it has been applied. Your choices will consist of flat, satin, eggshell, gloss, and semi-gloss. The flat finish is harder to wipe clean and is best used in low traffic areas that does not easily attract dirt. The other finishes, satin, eggshell, and semi-gloss are easier to clean and consequently can be used almost anywhere. Gloss finish on the other hand is shiny and is best used in small areas such as trim or molding. Good quality paint rollers & brushes are necessary tools and will make your job go a lot smoother. Choose a roller that has a good nap to it and you will find you can paint an entire room with it. Everybody seems to have their own preference however when it comes to brushes. A couple of pointers brushes; small angle brushes work well on trim and corners and a three inch flat brush or even a paint pad works for the areas where a paint roller can not reach. Beyond paint and applicators you should have drop cloths, rags for cleaning, paint trays. If the walls need repair you may also need spackling, sandpaper, and a putty knife. In order to reach the trim or higher areas you will also need a good ladder. The ladder you choose should be sturdy and steady to support your activities on the ladder. Choose a step ladder with a wide base or a flared bottom this should help assure your safety on the ladder. – Organizing all of your supplies before you start painting and sure that you have what you need. – Move your furniture or protect it by covering it up. – Use low-tack masking tape on the baseboards and trim. Take the tape off before the paint dries. – Be sure to paint walls before the trim or woodwork. – If you need a second coat apply it after the first coat has dried. 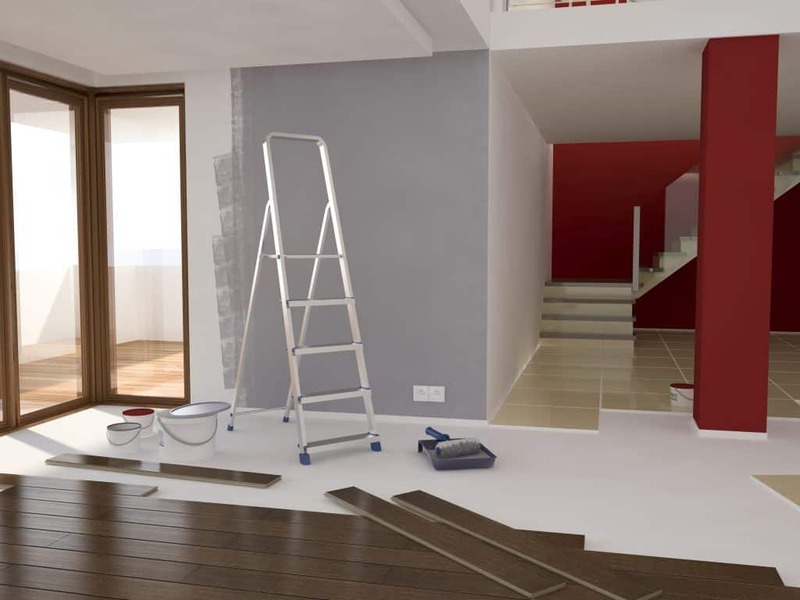 In the event you decide to use affordable professional House Painters Port Coquitlam that are easy to talk, do a good job, and show up on time than give Total Home Services a call. We are pleased to give you a FREE quote call today 604-523-2238. You can go here if you are looking for additional information on Home Repair items such as house painting. Sometimes as you start a house project you may run into things such as Bathroom Mold, or a desire for additional home renovations. These are things that are best left to a professional team. Total Home Services will service the following areas: Coquitlam, Port Coquitlam, Port Moody, Vancouver, North Vancouver, Maple Ridge, Langley, and most areas in the Lower Mainland.